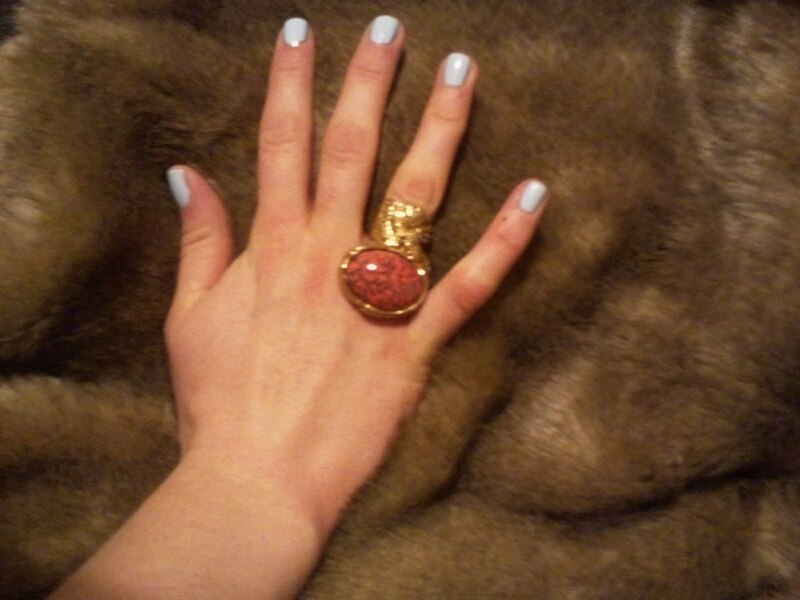 For boyfriend bought me a YSL Arty ring for my birthday. I LOVE it. I was torn between the peachy-orange-gold and the turquoise but in the end they didn't have the turquoise in my size in Harvey Nichols so fate decided! I'm glad I got the orange though, I think it goes with more of the clothes I have. Excuse the blurry pic the lighting was rubbish.